Mike Williams retired in 2017 from a 38 year career in the steam generation and electric industry. Over the years, he has been an active volunteer in the Hopewell community, serving with the Hopewell-Prince George United Way, the Hopewell Manufacturers Association, and the Hopewell Community and Industry Panel. Today, he is focused primarily on serving the mission of the John Randolph Foundation in various capacities. Elisa Carraway is a lifelong resident of Hopewell. She earned a Bachelor of Arts degree from Virginia Commonwealth University and taught in the Hopewell Public School System for ten years. She left education and joined her husband to start Carraway Glass Company, Inc. which they owned and operated for more than 24 years. Mrs. Carraway is involved with many local civic activities and organizations. Judith Smith has worked for Crater Planning District Commission for over 28 years. She is a graduate of Virginia State University with a BS in Business Education and Office Management. She volunteers with Hope House, a homeless shelter in Hopewell, and also serves as Vice-Chair of the Crater Area Coalition on Homelessness. Diane Parr is the Accounting Manager/Human Resources Coordinator for Richmond Corrugated Box Company in Richmond and Wilmington Box Company in Burgaw, NC. Mrs. Parr is a Certified Public Accountant. She earned her Bachelor of Science degree in Business Administration from the University of Richmond. Mrs. Parr is active in several organizations in the Hopewell community. Linda Ault has been a nurse in the Tri-Cities area for over 30 years. She received a Diploma in Nursing from the Riverside Hospital School of Professional Nursing followed by a Bachelor of Science in Nursing from Virginia Commonwealth University and a Masters in Nursing from the University of Virginia. Mrs. Ault was employed at John Randolph Medical Center from 1985 until 2010 and currently works at the Ashland plant in Hopewell. She serves on the Board of Directors of the Virginia Nurses Association and is a former Board member and Past President of the Virginia Board of Nursing. 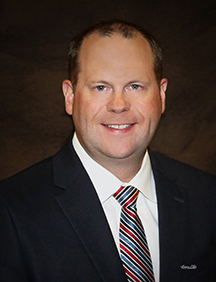 Andrew Clark is a licensed agent and partner with Ligon L. Jones Insurance Services Inc. where he holds the Accredited Advisor in Insurance and Construction Risk Insurance Specialist designations. He graduated from Hopewell High School and James Madison University with a BS in Economics. He serves on the Boards of Historic Hopewell Foundation Inc., the Hopewell Emergency Crew Inc., and the Hopewell Saltwater Anglers Club. 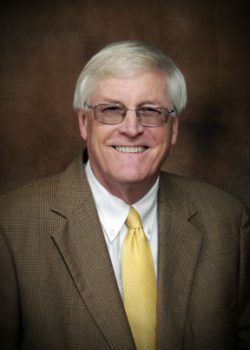 Mr. Clark is an active volunteer and has served on several other Boards and Commissions in the Tri-Cities area. Johnny Jones is a VP/Market Executive with Touchstone Bank. Prior to joining the Board, Mr. Jones was an Advisor to the JRF Investment Advisory Committee and Audit Committee. A Hopewell native, Mr. Jones is a graduate of Hopewell High School and Virginia Commonwealth University with a degree in Business Administration. He is a member of the Hopewell Rotary Club and West End Presbyterian Church, and he volunteers with the Hopewell Food Pantry, the City of Hopewell's Planning Commission, and Hopewell Redevelopment and Housing Authority. Brad Kaufman retired in 2014 from a 35 year career in the banking industry. A lifelong resident of Hopewell, Mr. Kaufman is a graduate of Hopewell High School and Virginia Commonwealth University with a degree in Business Administration. Mr. Kaufman has volunteered with the Hopewell Emergency Crew, Hopewell Prince George Crime Solvers, the Industrial Authority of Hopewell, and the Youth Academy of Performing Arts at First Baptist Church in Hopewell. Robert “Bob” Owen, III is a long-time supporter of the Foundation and co-founder of the Bobby Owen Memorial Scholarship Fund, established in memory of his late son in 2003. Professionally, he has been with Heritage Chevrolet in Chester since 1983 and with the Virginia Automobile Dealer Association since 2014. Active in the community, he is a member of the Disputanta Ruritan Club, Masonic Lodge 15, the Scottish Rite of Free Masonry, ACCA Shriners, and St. Marks United Methodist Church in Petersburg. Bob is a graduate of Prince George High School and John Tyler Community College. He and his wife Katie reside in Chester. Jerry Warren is a Director and Chief Technologist for Dominion Voltage Inc., a Dominion Resources company. He has over 16 years of experience in the Electric Utility industry. Mr. Warren is a graduate of Hopewell High School and Radford University with a BS in Geography. He served on the Prince George County School Board from 2012-2015 and was Vice Chairman in 2015. Mr. Warren volunteers for youth recreational sports in the Tri-Cities area. He and his wife Mary Ginny have three children who attend Prince George Schools. 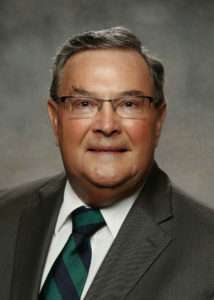 A lifelong resident of Hopewell, Jerry Williams graduated from Hopewell High School and attended Richard Bland College. Mr. Williams retired from Verizon Communications in 2000 after 32 years. Active in the community, he is an Elder and Trustee of Woodlawn Presbyterian Church, President of the Hopewell Emergency Crew, member of Hopewell Prince George Crime Solvers, Past President and Board member of Hopewell Lions Club, and past Chairman of Hopewell Clean City Commission. In 2014 Mr. Williams was inducted into the Hopewell Senior Citizen Hall of Fame for his work as President of Camp Happy Acres, Woodlawn Neighborhood Watch Coordinator, Election Officer, and Red Cross Board member and volunteer.